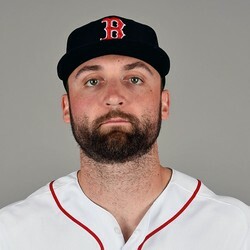 Sam Travis went 1-for-4 on Wednesday night versus the Tigers. His lone hit of the night was a single and he also drove in an RBI. Travis was given his first start of the 2018 season on Wednesday night, as he started at the DH spot for Boston. He was quiet for most of the night, but was able to get something going in his last at-bat, when he hit a liner to center field to drive in a run. In just five at-bats, Travis has been able to drive in three RBI, but he's not on the fantasy radar quiet yet.